Deep Tissue Muscle Therapy (DTMT) originates from these Purified Bodies. It releases fear stored in the body at cellular memory level. Reality Therapy is a method of counselling developed in the 1960's by Dr. William Glasser. The focus of Reality Therapy is to help counselees take ownership of their behavior and responsibility for the direction their lives take. Reality Therapy holds as its basic premise the notion that regardless of what has happened to us in our lives, or what we have done in the past, we are living and making choices here and now. Reality Therapy helps counselees become effective self-evaluators here and now, so they can learn to take their lives in the direction of health, control and responsibility. While Reality Therapy emerged purely from Dr. Glasser's keen instincts and effective practice during the 1960's, it is now based firmly on Choice Theory. Therapeutic Face & Scalp Massage to relax & rejuvenate your face. Tuesdays and Wednesdays, and Raumati South on Thursdays & Fridays. 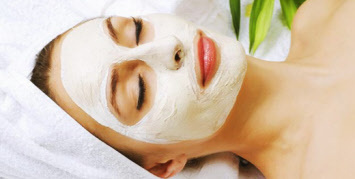 Other facial treatments include High Frequency Machine Therapy suitable for acne, dermatitis, superficial skin wounds. Please click here to contact Jules for further options..